PA Chairman says peace talks must "not serve as a cover for the expansion of Israeli settlements." 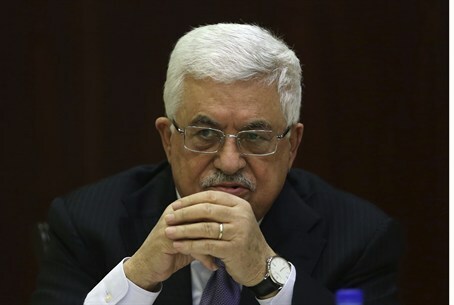 Palestinian Authority (PA) Chairman Mahmoud Abbas warned on Friday against Israel using peace talks as a "cover" to “expand settlements” in Judea, Samaria, and Jerusalem, AFP reported. Abbas was speaking in Morocco at a meeting of the Al-Quds (Jerusalem) Committee. The meeting comes days after Israel announced tenders for construction of more than 1,800 new homes in regions which the PA claims for a future state. The U.S.-brokered peace talks must "not serve as a cover for the expansion of Israeli settlements in the occupied Palestinian territories," said Abbas, according to AFP. Speaking at the opening of the two-day meeting in Marrakesh, Morocco's King Mohamed VI, as president of the committee, called for "a strong mobilization of our own means and resources... to defend the Holy City." Previous announcements on construction have also raised the ire of the PA, which demanded that Israel cancel any tenders it has issued for new construction or the talks would be over. Abbas’s comments regarding eastern Jerusalem being the capital of the future Palestinian are also nothing new. Just last week, Abbas told a delegation that there will be "no peace between us and Israel" without eastern Jerusalem as the capital of the future Palestinian state. Israel’s construction has also angered the European Union, which responded by summoning Israeli ambassadors in London, Rome and Paris. Prime Minister Binyamin Netanyahu subsequently slammed the European Union for summoning the envoys.